The Kansas City chapter of ASBPE hosted the 2015 Central Region Azbee Awards banquet on Thursday, June 18. 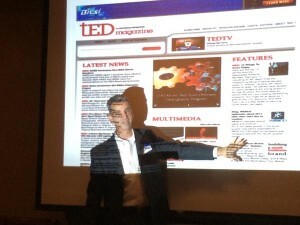 The banquet included a presentation from the award-winning Scott Costa, Publisher of tED magazine. Costa accepted an Azbee award for website redesign. Congratulations to all of this year’s Central Region Azbee Award winners!